"High Cost, Hard Work and Highly Effective and Science Driven Program to Transform Men’s Dating Lives"
A comprehensive course for someone who is committed to putting the work in to transform themselves and their lifestyle in order to get dating and social results. It’s a premium priced online course, so you should have good finances. It's also the best solution for someone who wants a natural approach to meet his dating and social goals that actually "integrates into his life" for the long term. This course is suited to someone who is committed to getting this part of his life handled permanently, who isn't willing to drop his standards or integrity and who isn't afraid of hard work. 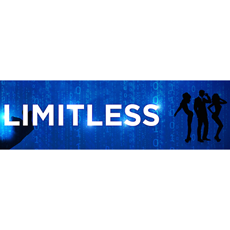 Limitless is a 10 week program designed to transform you into a man who naturally attracts women and is in complete control of his dating and social life. It is the biggest program I have looked at to date - it packs in over 57 hours of video seminar content, and additional audio, and eBooks. It’s a monster of a program and represents an incredible amount of work from its author David Tian. It’s worth looking at David’s background to understand where Limitless came from and how it was formed. He was previously an academic, teaching and researching at university. And throughout Limitless you’ll see this side to him, as you will hear references to scientific research, and in some cases, where the ’truth’ is particularly uncomfortable or important (these two often go together), get walked through the science and the studies. David originally became a dating coach on the back of having learned pickup artistry, and built a name for himself there. He quickly moved on to more general dating coaching and men transformation, and the limitless program clearly shows the departure from David’s pickup artist background, to becoming a greater man. Nonetheless, he still leverages some of the skills he acquired during that phase - but not in the same way. Both of these points are part of the core strength of the teaching in this program. It’s unusual to find a lot of science in dating programs. It’s a definite weakness in this area. People often rely on their experience of results, on what they’ve seen their clients do well with. The issue with that is it lacks a clear explanation of the mechanism for what works - and thus it makes it a little bit harder to teach. People, like you, like me even, resist ideas we don’t clearly understand. We need to know why they work. Translates the science into many case studies, examples that guys can relate to in their lives. Walks you through the actual studies in layman’s terms so you can understand why this is something you need to accept. Follows up with a practical actionable takeaway based on the science. Not leaving it as just a useful idea to think about, but translating it into action. Further reading is also given as homework in the form of the original books and papers for those who want it. There was a lot of value in the pick up artist movement, but also some deep flaws that prevented men from achieving satisfaction in their dating lives - regardless of any short term results. You will have probably heard me discuss this with various guests, including David, in the podcast. David is one of the men who has worked very hard to understand the flaws, address them, and find a way to teach men skills that they can integrate into their life without being ashamed of them. The whole positioning of Aura Academy has been as a dating and social company from the outset. (Sidenote: This is the future of dating advice. You’re going to hear me talking more about the bad habits men need to let go of from advice primarily from the pickup artist movement that has been popular over the last 10 years - it’s an essential step to achieving satisfaction in their lives). If you were up to speed on all the pickup artistry knowledge and dating knowledge that has been published over the last 15 years, like me, you would notice that there is a fair amount of pickup artist originated knowledge in this course. These are primarily principles that get results - work - and, are unavoidable. What is different is that they are taught from a completely different perspective - and most people wouldn’t notice them - except where David highlights that it was originally surfaced by the pickup artist movement. He teaches these principles as an integrated value or part of your life, and why they are important - giving examples and case studies that are down to earth and relatable - as part of daily lives. It’s really solid. And it’s the future. I’m looking forward to see more of this. I see a lot of people bashing Pickup Artistry these days - it has become fashionable. However, that is not objective - nor will it help us get results. We need to acknowledge value where it is, throw away what is not of value, and reposition the tools and techniques in a framework of becoming a better man - and in a way that it actually becomes part of your daily life - it becomes integrated. This is what David has done for these techniques. It’s solid. And I hope to see more coaches and mentors traversing this bridge - and fitting what we know works from our pickup artist experience into frameworks that are natural, authentic, and genuine - enabling us to transform men into the better men that will overcome their current dating hurdles - but importantly, enable them to overcome their future hurdles also. This course certainly isn’t a comfortable one. In some of the seminars you’ll see David push and push the audience, to really get them to take something on board. HE doesn't let them just nod their heads - putting the uncomfortable information to the side - he pushes. From my knowledge and experience, David does a great job of focusing on the sticking points in this course. The time is well spread out across the things men really struggle with - while often not knowing it, or wanting to really talk about it or learn about it. Unfortunately, if we want to really get results - we have to work on the uncomfortable things - these are what is getting in our way. So it’s very much a straight talking course. It doesn’t try to help you avoid the main issue, because the purpose of the program is to get you to change - to transform. For instance, it doesn't teach you techniques to avoid rejection. It acknowledges that it's inevitable, so it shows you how to deal with it effectively. The point: It’s not designed to give you a technique to be able to avoid the ‘pink elephant’ in the room for the short term. It's goal is to give you what works long term. So if you’re considering buying this program, an important part of your decision should be: Am I ready to get uncomfortable and take ideas in that I resist? And start acting on them? If you are not committed to doing this - it will be difficult for you to extract the value from the course. A weakness in this program that I noticed, and that is actually common to most programs, is that it could have been structured more clearly, with splits between seminar and practical "to do" exercises. David provides some of this with downloadable work assignment sheets for the seminar videos. However, these don't contain much of the practical information that is discussed in his videos. So you may find that you watch the video, some are 2 hours long - as if you were in seminar - and then come to the work assignment afterwards, and be thinking back to the items discussed an hour or longer before. As I said, this is something common to most programs today - so it's not a big weakness compared to other programs. However, it is something that would improve the course and make it easier to implement. Another weakness is that the community isn’t very active inside the forum as yet. This would stem from the exclusivity of the program - it’s higher priced, and thus has less people signing up. On the flipside, the people you do see in there are committed - and you see David himself responding to the questions in the forums. So there is a good vibe about the forum - which isn’t always the case - people are focused and driven. Finally, the last two modules, in weeks 9 and 10, are not as comprehensive as the previous modules. In particular I would've liked to see more material in week 9 to really round it out with the advanced end also (I know from personal discussions with him he has the advice and content to do it). Perhaps that's something David can add to the program at a later stage. How Easy is it to Make Limitless Work for You? Watching the nearly 60 hours of content, and probably rewatching some of it multiple times where it relates to your own sticking points. Putting it into action - committing more hours to making this part of your daily life, and thinking about the lessons and applying them as you go through your life - actually doing the exercises and work assignments given to you. Committing to accept the knowledge - getting uncomfortable - being okay with feeling bad about the course during it at times (not all the time), but there will be lows in the process. With these ingredients you are very likely to get the results from the program. So as you can see it’s not an easy program. It’s promising a lot of big things, like life change, dating lifestyle and social lifestyle change. The reality is that these don’t come easily - it’s a learning and change process. The positive thing here is that David gives it to your straight in the course - doesn’t give you magic bullets or shortcuts that will let you down in the long run. Who is This a Good Fit For? Who Shouldn't Buy This? It should be obvious at this point that the Limitless program is not for you if you are scared off by some hard work. It’s a course that demands commitment and effort and immersing yourself in it. It’s also not for you if you’re just interested in getting some dates and /or laid. It’s a program that goes a lot deeper - and this is why it demands a lot more from you. So your goal should match the programs goal - you need to want to change and become a man with natural dating and social skills - who has integrated these into his life for the long term. You should also have certain ethics about these areas of your life - as these are embedded in the program. Finally, I think the material will also be more engaging and taken in by you if you’re interested in science, understanding why things work appeals to you, and if you like to go deeper into subjects to really get clarity on them. The ideal person for this course is someone who wants to comprehensively tackle this area of his life - and give it a once and for all everything to change it in "one huge 10 week blow". This is another quality course from David Tian, and clearly embodies the ton of experience he's had with hands-on training of men, seeing where they get stuck and figuring out how to fix it. It goes beyond the obvious, and drills down to what people get stuck in their change process. So it’s a mature, solid and comprehensive program. Highly recommended to someone who is committed to getting this part of his life handled permanently, who isn't willing to drop his standards or integrity and who isn't afraid of hard work. Disclaimer: Most of you probably know this already, as you’ve heard me interview David in podcasts here, here and here. He’s a good buddy of mine. One of the reasons for that is that he’s good at what he does of course, however, I wanted to make it clear in this review that he is a good buddy of mine. I’ve made a specific effort to be objective when reviewing this course given that relationship. Is it same course which came as ''Limitless Alpha'' few years ago? I second the below (or above) comment. Additionally, what is the minimum and optimal amount of time to practice each day? From other reviews I see at least an hour a day. How often does it ask you to hit the club or the streets for day game? Does anyone know how to actually puchase the product? It seems like it's not on sale anymore. Does anyone know how to actually purchase this product? The provided link doesn't actually have a store front.